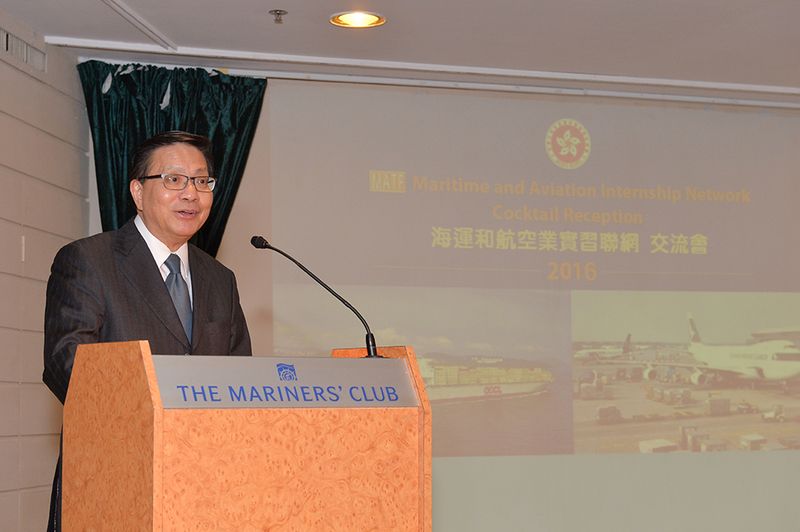 The Secretary for Transport and Housing, Professor Anthony Cheung Bing-leung, said today (July 11) that the Government attaches great importance to the development and manpower training of the maritime and aviation sectors. With the national Belt and Road Initiative and the implementation of the Hong Kong International Airport three-runway system project, there will be ample opportunities for young people joining these expanding sectors. Officiating at the Maritime and Aviation Internship Network Cocktail Reception today, Professor Cheung pointed out that the maritime and aviation sectors, which together account for 3.7 per cent of Hong Kong's gross domestic product, are key industries in Hong Kong. 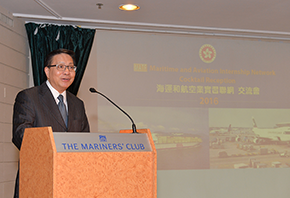 "The Government has all along been working closely with the trade to reinforce Hong Kong's status as an international maritime centre and global aviation hub. 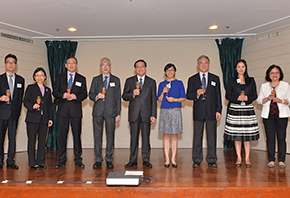 On April 1 this year, we established the Hong Kong Maritime and Port Board to set the direction for the long-term development of the port and maritime services, foster the development of maritime manpower, and devise strategies and initiatives to enhance Hong Kong's status as an international maritime centre. "Riding on the Belt and Road Initiative, Hong Kong is taking active steps in promoting maritime services and discussing air services agreements with aviation partners along the Belt and Road corridors. Moreover, the Airport Authority Hong Kong (AAHK) will soon commence the reclamation works for the three-runway system project to strengthen Hong Kong's competitiveness as a global aviation hub. The AAHK anticipates that the three-runway system project would create various types of direct employment for 120 000 jobs in 2030 upon the airport expansion," he said. On manpower development, the Government launched the $100 million Maritime and Aviation Training Fund (MATF) in 2014 to encourage young people to join the industries and support their long-term development though various scholarships and award schemes. The internship network, implemented under the MATF for the third year now, has attracted nearly 60 companies in maritime and aviation sectors this year offering more than 560 intern places for students, representing an increase of about 20 per cent when compared with last year. To deepen interns' exposure to the operation of the maritime and aviation sectors, the internship period will be extended from two to three months this year. 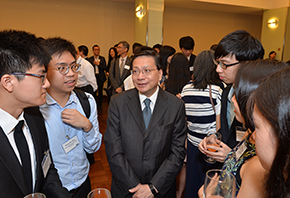 Professor Cheung said he hoped that the students would gain more knowledge about the work and career prospects of the maritime and aviation sectors through the internship scheme and consider joining the trade after graduation. 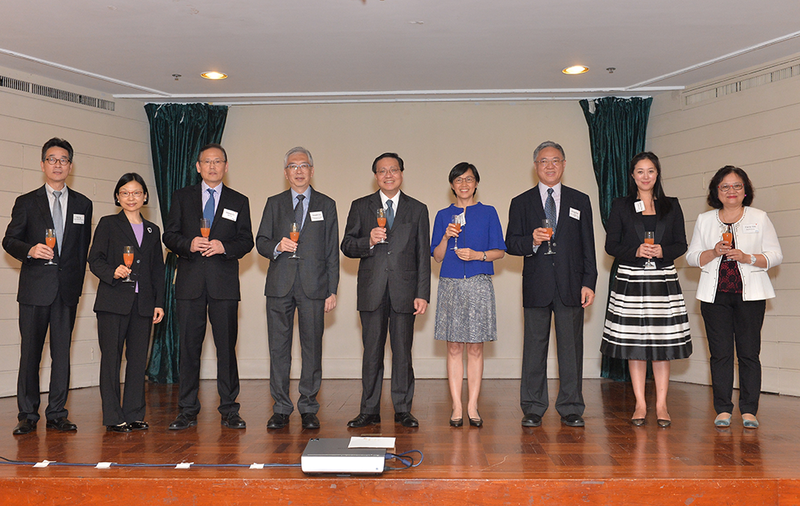 More details about the MATF and the internship network are available at the Transport and Housing Bureau website at www.thb.gov.hk/eng/whatsnew/transport/2014/20140401.htm.